It’s no secret that I am inspired by all things internet. I cruise food sites and have for years and years, why I waited so long to do a food site is beyond me, and have found some fantastic recipes. 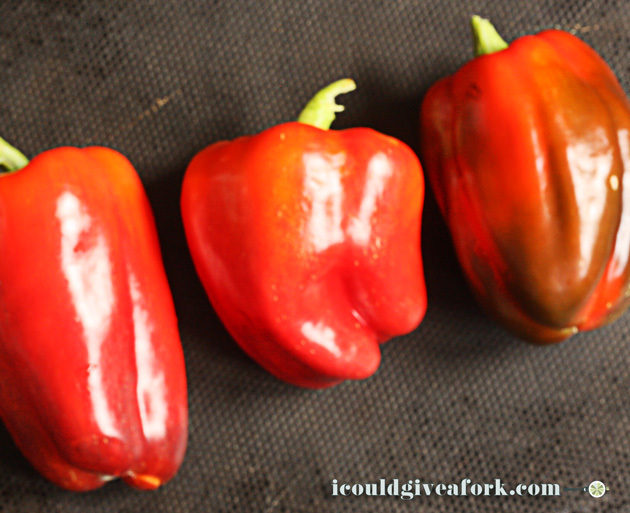 Enter Gluten Free Roasted Red Pepper Pasta from Minimalist Baker. Yes, this recipe was so good, I made minimal changes to it, which is not something I do frequently. I like to take a recipe and mix it up a little, add my own touches and such, but not this one. This one was so good, even the small modifications I made didn’t change it, and I’m glad because it is so delish! 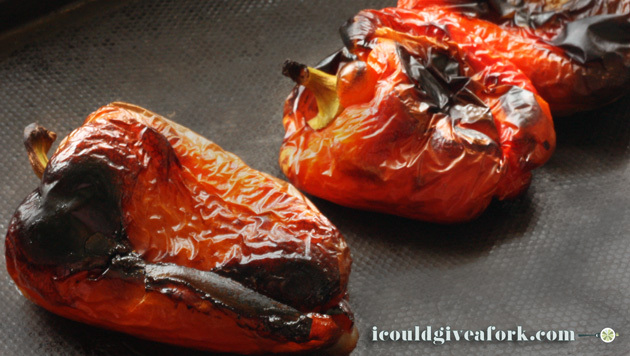 I used 3 red peppers from the garden, and I put them into the oven at 500° for about 12 minutes on both sides to roast them. Man they smelled so good! Afterwards, I covered in foil for 10 minutes to steam. I used my Cuisinart food processor and mixed the peppers (after I peeled them and cut out the stalk and scraped the seeds) and the other ingredients until smooth. 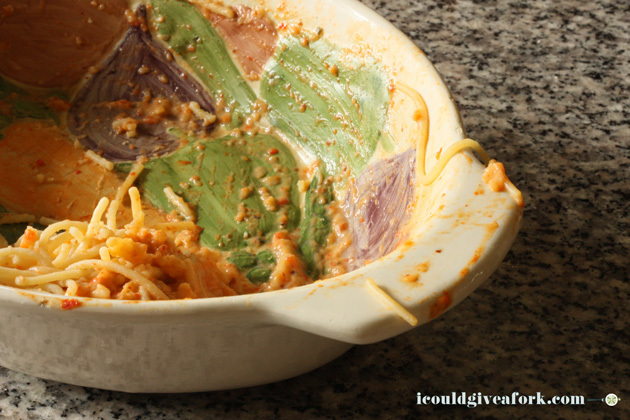 Then you throw the mix back into the skillet you used to sautee the onions and garlic and let it simmer and thicken, threw it on some gluten free pasta and oh my goodness was it good! Don’t believe me? 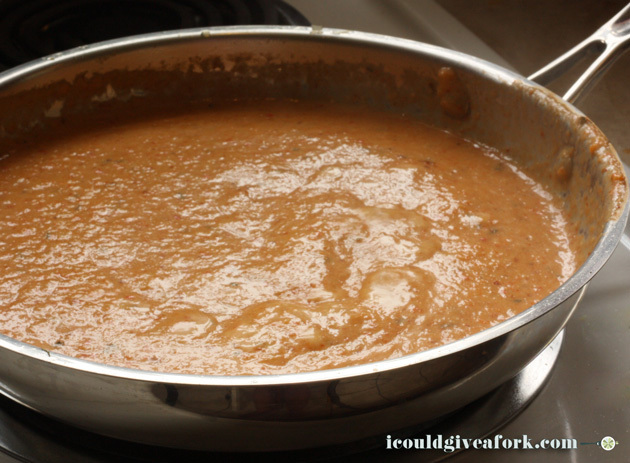 Well, there were 5 of us eating and I didn’t have enough left over to even put up for lunch tomorrow, but I have the suspicion that it was the side of the bowl that the sauce was lightest – but I could be wrong. It could have been because we were all so full we couldn’t eat another bite. Oh, we ate it all! Want to learn how to create this culinary masterpiece? It’s easier than you think, no really. EASY. Just follow along below and then share your shot on instagram using the #minimalistbaker tag. Why? If you make this dish you must take a picture and tag it #minimalistbaker on Instagram! We’ve got quite a little community of Minimalist Bakers over there where images of the recipes you make and love continue to pile up. Let’s keep this foodie love fest going, shall we? As always, thanks for following and for supporting what we do. Cheers! See? You have to. Minimalist Baker said so and I’m tellin’ if ya don’t! So – let’s get cookin’, good lookin’! Recipe straight from Minimalist Baker – the only change I made was I used parsley and a little bit of garlic salt in mine and substituted an onion for the shallots because, well, I grew a whole mess of onions out back. My garden is 75′ X 50′ so I had more than enough (and will at least until next Spring) and I just didn’t feel like getting out today. Oh, and I used half and half instead of almond milk because we’re not vegan, oh and I skipped the nutritional yeast because I didn’t have any of that either. I guess I made a few changes, but they were small. Transfer sautéed onion and garlic to blender with roasted peppers, half and half, red pepper flake, and cornstarch. Season with desired amount of salt, pepper and red pepper flake. Serve with generous amounts of parmesan, red pepper flake and fresh chopped parsley or basil.